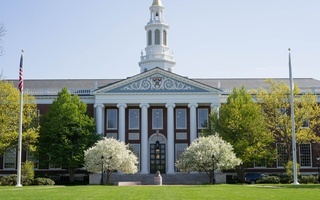 Harvard Business School has added another online learning initiative, HBX Live, to its current offerings in an effort to replicate many of the signature characteristics the HBS classroom. “With HBX Live, we replicate the classroom, but we ignore geography entirely,” said Business School professor Bharat N. Anand. HBX Live classrooms will exist entirely online and in real time. In a custom-designed WGBH studio, a high-resolution video wall mimics the amphitheater-style seating of an HBS classroom with up to 60 participants displayed on individual screens through a video feed from participants’ computer cameras. A team of four videographers and studio managers are charged with creating an engaging and cohesive video feed of professors going over course material. The program aims to create a highly interactive online experience where professors can call on specific students who can answer questions as if they are physically present. Jim Aisner, a spokesperson for the Business School, said there is virtually no delay in video feeds. In addition, others can audit sessions via an observer model that contains just the professor’s video feed with only a few seconds of delay. 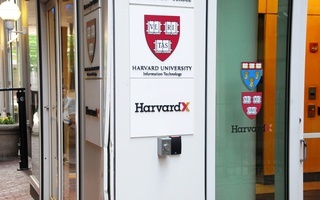 Students in HBX Live can take advantage of a host of features that extend beyond the traditional classroom experience at HBS, including the ability to answer questions, vote in polls, and interact through a chat function that projects comments of questions students have to each other and the professor in real time. HBX Live is part of HBX, a larger HBS online education initiative. 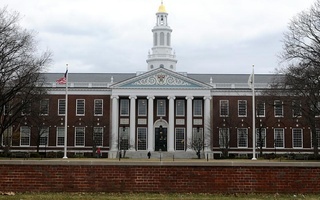 According to Peter K. Bol, Vice Provost for Advances in Learning, three years ago the Business School opted to develop its own online learning platform, separate from Harvard’s edX platform, in order to provide a pedagogical approach more closely aligned with its teaching methods. “One of the things to understand is that when you build a platform that’s meant to serve many many different people in many different ways, which is what edX is, you can’t build a platform to meet the demands that I might have for the particular way I want to teach,” said Bol. Anand stated that future goals for HBX Live are to improve programming for alumni and scale the program to serve a larger number of students. “HBX Live will help us deliver on our promise of lifelong learning by giving us a new way to engage students and alumni—not just here in Boston, but around the globe—as their professional and educational needs evolve over the course of their careers,”said Business School Dean Nitin Nohria in a press release. HBX is only one of a number of programs for online business education. The Wharton School at the University of Pennsylvania has a public online education program that has already served over a million students. Yale’s School of Management is part of the Global Network of Advanced Management, an association of 27 business schools across the world that gives students the opportunity to take courses for credit online. According to David Bach, Yale professor and senior associate dean for Executive MBA and Global Programs, courses taken within the the Global Network of Advanced Management are included in regular tuition costs and use off-the-shelf technology. —Staff writer Ignacio Sabate can be reached at ignacio.sabate@thecrimson.com. Follow him on Twitter @TheIggySabate.